The 4-Section Half Bubble Wall Climber is designed especially for younger kids between the ages of two to five. The wall measures only four feet high encouraging little ones to give it a try. Children can climb up or maneuver across from one end to the other. A perfect freestanding playground component for preschools and daycare centers. The bubbles serve as foot holds and hand grips to provide a safe and fun wall climbing experience for children that improves hand/eye coordination while building confidence. 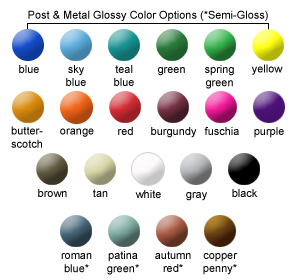 Steel posts are powder-coated in your choice of 21 colors. 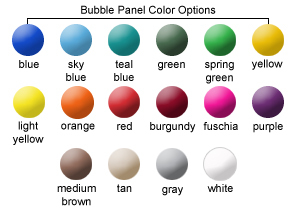 Fade-resistant, rotomolded plastic bubble panels are available in 16 different colors. Assembly and in-ground installation required. Manufactured for commercial use and tested in accordance with ASTM standards. The 4-Section Bubble Wall Climber steel posts are powder-coated with a 5-7 mills thick, triple flo-coated corrosion protection for a superior, high gloss, no peel, no flake finish baked-on at 400°F and resistant to salt spray, humidity, solvents, oils, acids, and alkalies.